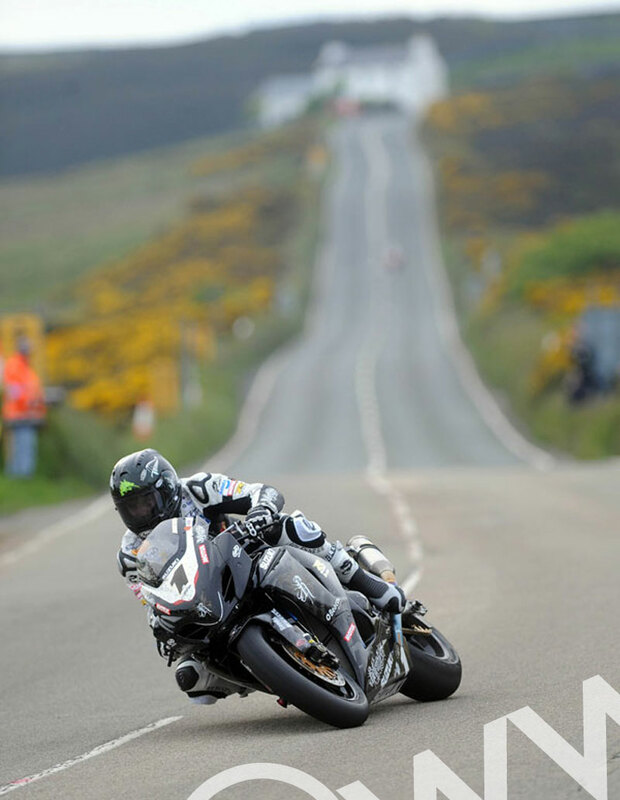 Bruce Anstey, riding the Relentless Suzuki by TAS Racing Superbike, rounds the Creg-ny-Baa during practice for the 2010 Isle of Man TT. A4 (8”x12”/210mm x 297mm approx). This image is available as a canvas wrap, mounted print or unmounted print. CANVAS - This image is printed onto high quality 375gsm, PH-neutral matte canvas approved to Fine Art Trade Guild and Wilhelm Imaging Research standards. Combined with the Epson pigment based inks, canvases are guaranteed to remain crisp and vibrant for more than 75 years. Each print is UV sealed for ultimate protection, and is supplied complete with a special hanging bracket for flush fitting onto standard picture hooks. The canvases are stretched over a finger jointed, kiln dried Scandinavian pine stretching frame. MOUNTED - The mounted prints are supplied as large format prints, printed using state-of-the art Epson machines. We use archival-quality, heavy-weight media and original Epson Ultrachrome K3VM pigmented inks to ensure the widest possible colour rendering, long-term lightfastness and excellent scratch/water resistance. Prints pass through our fully colour-managed workflow printing system, ensuring faithful colour reproduction and performance. The print is ready-mounted into quality mitre cut picture mounts, made from conservation grade ph neutral textured mountboard, complete with fixed acid free backing board. The sizes of the mounted prints are the 'frame rebate sizes' ready for instant mounting into a standard size (ISO 'A' series) readily available picture frame. UNMOUNTED - The unmounted prints are supplied as large format prints, printed using state-of-the art Epson machines. We use archival-quality, heavy-weight media and original Epson Ultrachrome K3VM pigmented inks to ensure the widest possible colour rendering, long-term lightfastness and excellent scratch/water resistance. Prints pass through our fully colour-managed workflow printing system, ensuring faithful colour reproduction and performance.